Apres ski- it’s the French tradition of going out and socializing after an energizing day on the slopes. Kick back, relax, grab a cocktail and a slice of pizza, and weave tales of your awesome powder day. 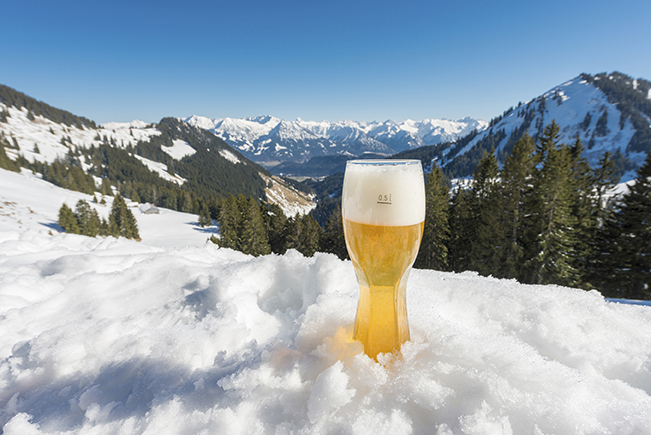 Here are four of the best apres scenes in the country for having fun at altitude. The star of the show in resort-dense Lake Tahoe, California’s apres ski scene is Heavenly Mountain Resort’s daily Unbuckle party. This adult-oriented shindig sits at the top of the gondola, at 9,150 feet up, and is known as the wildest apres celebration in the country. After a day of skiing, unbuckle your boots and enjoy half priced drinks, live DJs, food specials, and the Heavenly Angels dancers. This one is so popular it’s known to haul in non-skiers from town as well, which is no easy feat considering the 12-minute ride up is north of $30 round trip. Enjoy awesome views of the Sierra Mountain range, and conclude the evening with the unique experience of a night time gondola ride back down. 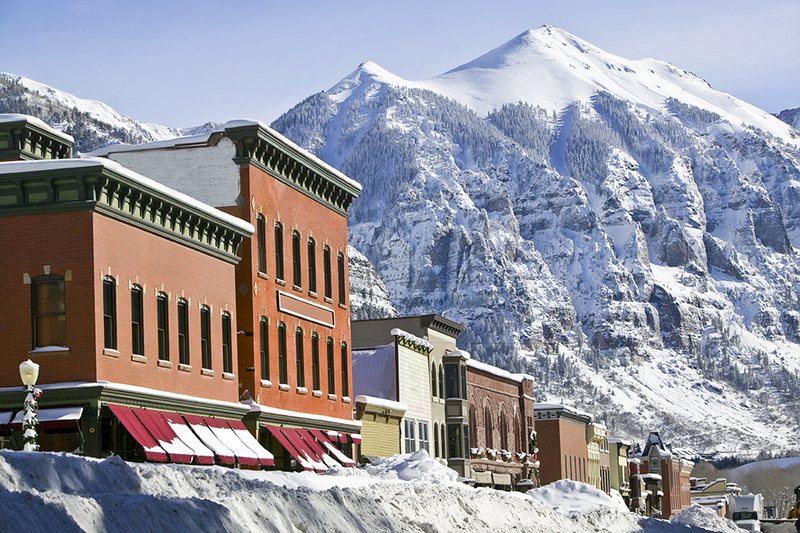 Denver lies a few hours from Colorado’s legendary ski resorts, and if you venture into the mountains you’ll find a wide variety of bars and pubs to choose from to put an exclamation point at the end of your day. Check out Secret Stash in Crested Butte, a laid back spot with some outrageous cocktails. The Red Lion in Vail Village is a woodsy and cozy locals spot with live entertainment. For a classy experience, head on over to the Windsor Hotel’s dining room in South Fork, where you can order a plate of bone-in local lamb and a nice glass of red wine. Or feast your eyes on the beautiful bar at the New Sheridan in historic Telluride, opened in 1895. It boasts original mahogany paneling, filigree lamps, and lead glass dividers. Ok, so Utah doesn’t host a huge drinking culture, but Park City must have missed that memo. Take in the scene at the Boneyard Saloon and Kitchen, a relaxed, young atmosphere that features a variety of beer, wine, and cocktails. Come hungry and order a burger cooked on their wood fired charcoal grill. Across town, class it up at Fletcher’s and order a decadent Manhattan maple cocktail in the new American lounge atmosphere. At High West Distillery and Saloon, you can sip on handcrafted whiskey and relax in the ambiance of a preserved home from the mining area. Beer lovers should head over to the Wasatch Brew Pub, the first brewery to open in Utah in 1989. Finally, for the ultimate in relaxation, amble over to The Sky Lodge’s Sky Blue rooftop lounge, where you can peep a beautiful sunset while sipping a cocktail in their hot tub. Gatlinburg, Tennessee, is a southern ski destination that doesn’t offer a lot in terms of fresh powder and vertical feet, but it makes up for it with a main drag that can compete with the big boys. This compact town has a number of bars to wet your whistle, all very close to Ober Gatlinburg, the resident ski resort. Try out Puckers Sports Bar and Grill for numerous deep fried apps and $10 pitchers of beer during happy hour. The Smoky Mountain Brewery looks like a ski lodge and has an extensive craft beer list for the connoisseur. You’ll spot Hogg’s Tavern in the heart of downtown. Go inside to sing a little karaoke and feast on award winning ribs and wings.